The European Gracie jiu-jitsu Federation Cup is held in de Maaspoorthallen in Den Bosch. In our 1th edition we will work with 5 mats. 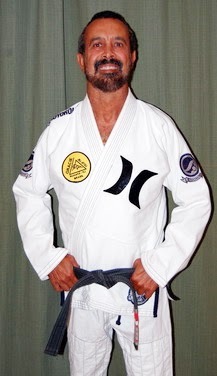 In the afternoon on Sunday 14th May Rickson Gracie will give a seminar. Family and Friends can watch your matches from close to the fighting area. During the day you can refresh yourself with Acai from our Sponsor or buy BJJ Gear at our sponsor stands. * The tournament always follows the communicated schedule! 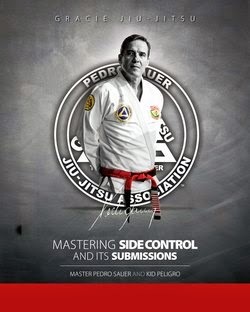 EGJJF applies the official BJJ rules from the IBJJF. 2 age divisions: 10/11/12 and 13/14/15 years old. Open Weight: The medal winners of each class can sign-up after their bracket for open weight categories. 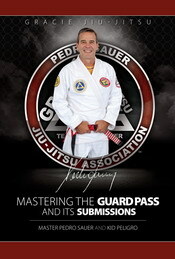 If there are to few participants in a specific belt or weight class, classes will be combined. Important: Competing at this tournament is at your own risk. The organization is not responsible or accountable for any injuries that happens during the fights on the mats. We’ve arranged some hotel deals for our guests at two hotels nearby. If you have any questions regarding your booking or hotel, please contact them directly. Fletcher Hotel and use the name EGJJF Open 2017 to book for your discount. 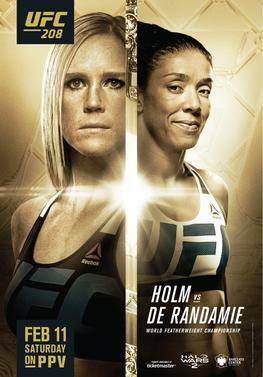 UFC Fight Night 105 takes place Sunday, February 19th at the Scotiabank Centre in Halifax, Nova Scotia, Canada. 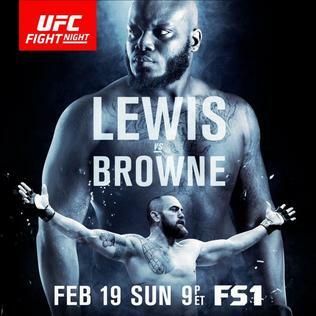 The event is headlined by a heavyweight bout between Derrick Lewis and Travis Browne. UFC Fight Night 104 goes down today, Saturday, February 4th 2017 at the Toyota Center in Houston, Texas. 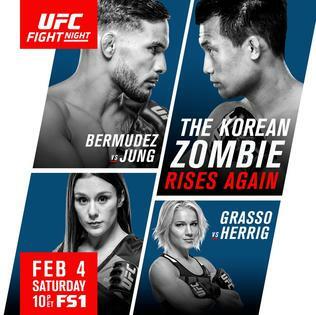 The main event marks the return of the ‘Korean Zombie’, Chan Sung Jung who will face Dennis Bermudez.